Even though they are often used to prevent patients from falling out of bed, bed rails can cause injury as well. Especially with those who are confused, frail, or older, bed rail injury is more common than one might assume. Many people have been seriously injured or lost their life because they became stuck between a bed frame/mattress and the bed rail. If they are unable to get themselves out of that situation, the patient ultimately suffocates. If your loved one was injured or killed as a result of bed rail entrapment during an admission to a nursing home, contact the Nursing Home Law Center today for a free review of your case and discussion of your legal rights and options for recovery with an experienced attorney. 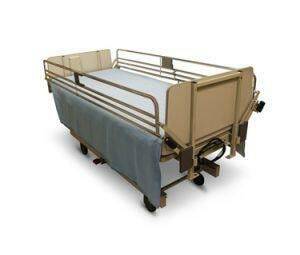 Bed rails are the adjustable plastic or metal bars used in nursing homes to help patients get up. Alternatively they are used to prevent patients from falling out of bed in their sleep or when rolling over. Unfortunately, it is possible for a patient to become trapped between the mattresses and the bed rails. Especially older, frail patients are far more likely to encounter this problem. Patients in bed rails are at a far greater risk if the bed frame and the bed rails do not match up well together. This causes a large gap between the mattress and the bed rail, a gap in which the person can become stuck. Scrapes, cuts, and bruising of the skin. Using bed rails may lead to a patient becoming increasingly agitated if the rails are applied as a restraint. In an effort to get over the rail, the patient may suffer serious injury if they lose their balance and fall. For some patients the use of bed rails makes them feel unnecessarily restricted or isolated. Being placed in bed rails can make it impossible for some older patients to perform routine activities without assistance. These may include getting something to eat or drink or going to the bathroom. Bodily injury, suffocation, strangulation, or death. This may occur if part of the patient’s body is caught between the mattresses and bed rails. It is also possible that staff members do not install the bed rail correctly. This again increases the odds of serious bodily harm. It is also important that staff members remember to remove the supports upon the removal of the bed rail. Even though there is no denying that bed rails can provide great support for patients who may otherwise have a hard time getting up on their own, it is important that bed rails are only used when necessary and only by people who have experience in setting them up. Failure to provide these basic safety necessities is never acceptable. If you are worried that something may not be right or you notice that the mattress does not match with the bed rail, be sure to speak out before it leads to problems. An entrapment, strangulation or other type of bed rail injury needs to be examined closely to determine the liability both on the part of the nursing home or medical facility where the incident occurred, but also with an eye towards the bed manufacturer or distributor. Nursing Home Law Center LLC has investigated and successfully prosecuted bed rail cases against the entities described above and will work with diligence to ensure the same is done for your family.